Folkmanis 2965 - Bring on the silliness! 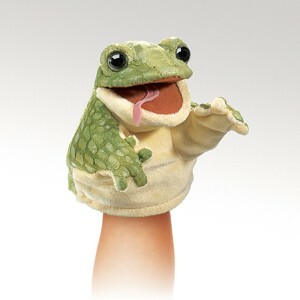 The LITTLE FROG puppet is fun and full of laughs. Measures 4” long, 4” wide, 5” tall.